Hilf & Hilf, PLC provides solid, reliable legal representation for those in Oakland county and the metro Detroit area who have been charged with criminal traffic offenses such as DUI. The attorneys at Hilf & Hilf, PLC have successfully fought criminal traffic offenses in Oakland Michigan for countless individuals, including drinking and driving felony and misdemeanors. With Hilf & Hilf, PLC on your side, you can be assured your defense will be presented. Our attorneys have a solid reputation in Oakland county Michigan for strong representation, powerful litigation, and a positive, confident attitude. 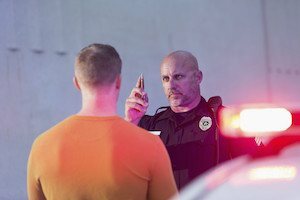 Depending on the severity of the charge, criminal traffic offenses (such as a DUI or OUI) can lead to the imposition of penalties such as incarceration in jail or prison, steep fines, and driver's license issues. It’s important for you to retain a well qualified lawyer who can guide you through the legal process and fight on your behalf. Attorney Daniel Hilf works hard to protect your rights and he works tirelessly to help you resolve your traffic offense in the best possible manner. Call Hilf & Hilf today for you DUI or criminal traffic case.